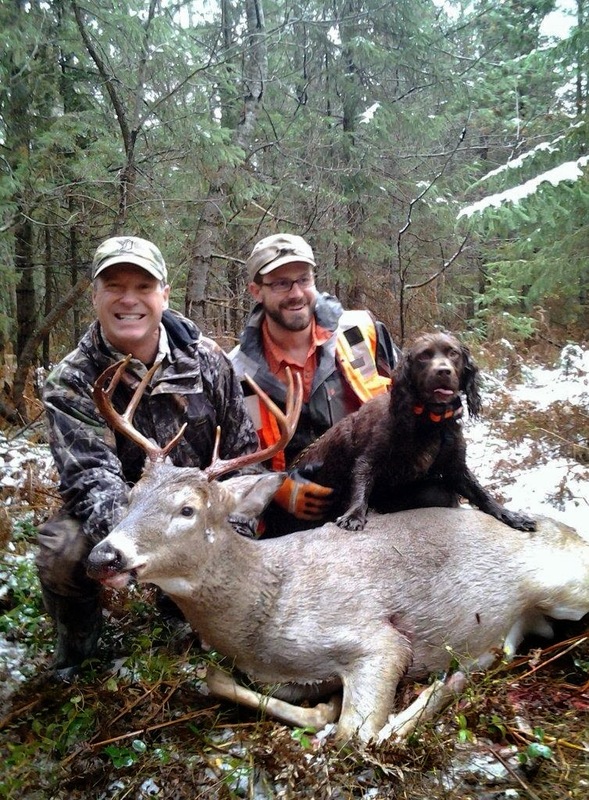 On 12-17-11 I spoke to a family member that said he had shot a buck at last light with his muzzle loader. This was a 7pt. that he had been after since October because the deer had an injured back leg. 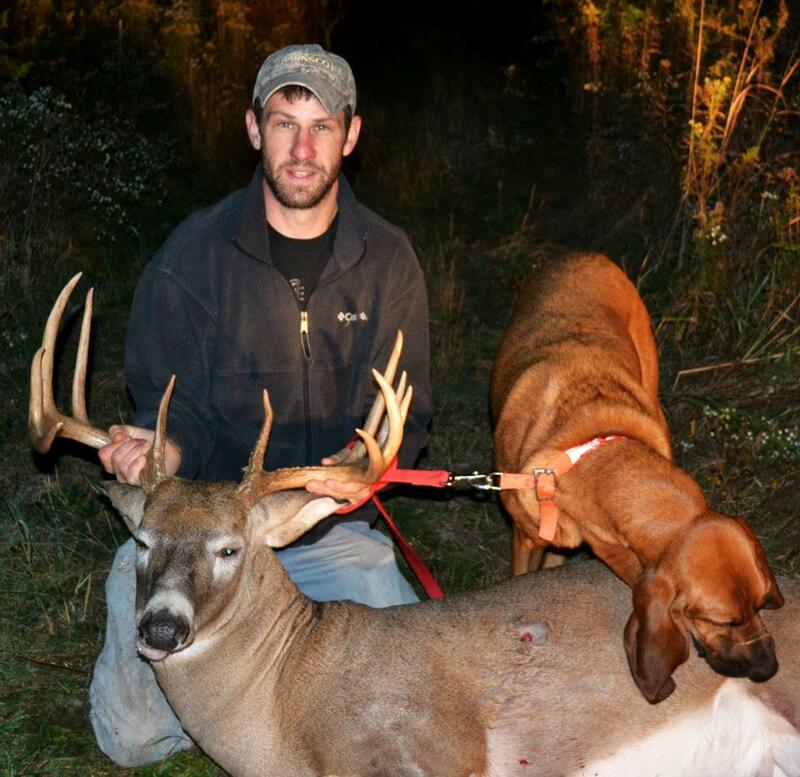 The shot was 75 yards and the deer was facing him and maybe slightly quartered when he shot. He was sure that he hit the deer when he shot but because of the smoke and low light conditions, he was not sure where the deer went and could see the reaction after the shot. He looked around the shot sight and could not find any blood or other sign. It was the 12-18-11 at 9:30 AM before I was able to start the track (16hrs. after the shot). 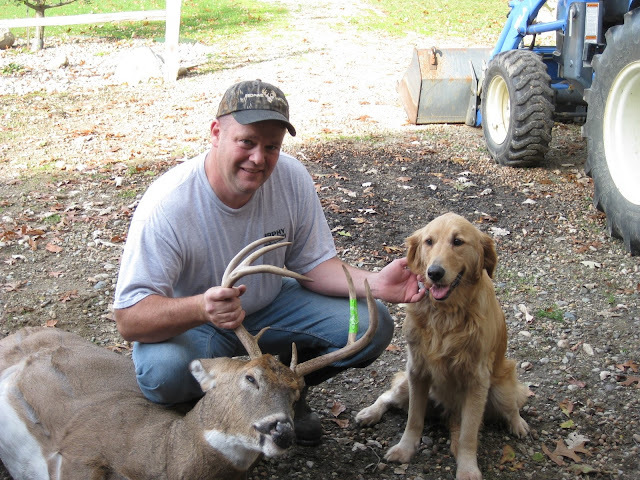 I have been trying to get my young dog, Hunter, some work but won’t use him on client’s deer because he is still in training. This seemed like a great opportunity for a training track because the hunter was a family member. When we got to the shot sight there had been a light snow overnight so if there had been any sign it was now covered. Hunter started searching for a direction of travel and had some trouble on the first try, after a few minutes it was obvious that he was not on the track. We restarted and this time he was on the track right away. Thirty yards from the shot sight we found some blood high on some grass to confirm he was right. Seventy five yards from the shot sight we left the field that the deer was shot in and entered the woods. We went through some thick woods and then into some more open woods at which point I could see the deer piled up about fifty yards in front of us. I let Hunter do it on his own and he tracked right up to the deer. The total distance of this track was only about 150 yards and we recovered the deer in about 15 minutes, including our start in the wrong direction. 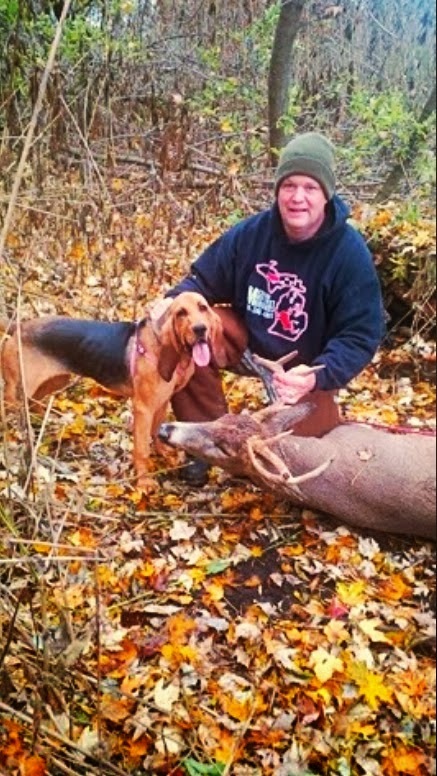 I only saw one spot of blood the entire track but with some walking and searching this deer would have been recovered without a dog. This was used as a training track so Hunter will be better next fall when he starts tracking for clients. The track was not contaminated at all by searching and once Hunter determined the direction of travel he never missed a step including one 90 degree turn at about 100 yards.